ProComSol has participated in the working group meetings for many years, even before the HCF and FOUNDATION Fieldbus merger that led to the creation of FieldComm Group. Keep reading below to learn more about FieldComm Group, their group meeting, and much more! FieldComm Group describes their working group meetings as a way for professionals in the technical and marketing industries to meet and help contribute to the strategic direction of FieldComm Group. All members are welcome to participate in their working group meetings, which are held three times a year. "FieldComm Group's Technical Working Group meetings provide an opportunity for technical and marketing professionals to meet over multiple days and contribute to the strategic direction of the organization and its technologies. Having members like ProComSol participate helps ensure high-quality, market-relevant products and standards are available in the process automation space. 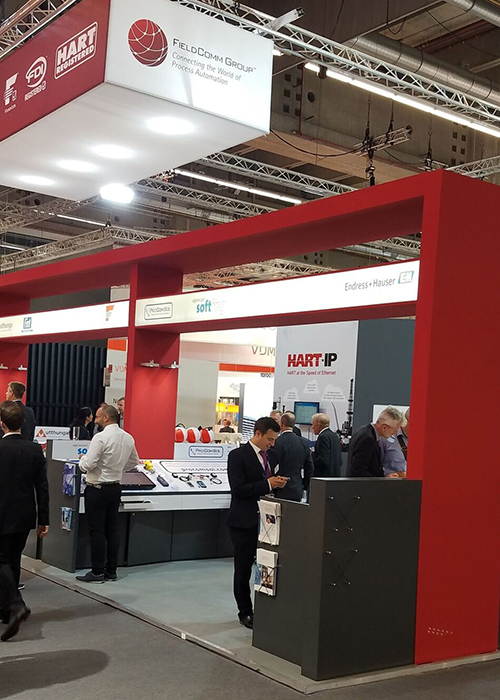 A common goal and open cooperation of these member organizations is critical to the success of industrial standards like HART, FOUNDATION Fieldbus and FDI." FieldComm Group is a non-profiting member organization that is composed of research organizations, manufacturers, universities, process end users and many others that are all interested in helping move forward and help advance the process industries. They also own the HART specifications and give members training, development, and provide product registration assistance for the HART communication products. As a leader in manufacturing and designing reliable HART communication products, ProComSol provides competitively priced products to the process control industry to help businesses become more efficient. We believe that our advanced products are the best on the market since they allow our customers to document their operations with ease and connect to their systems on the go through our app. Our modems and smart software options let users make their tablet or smartphones full-featured HART communicators for a much lower rate than a normal handheld device with just as much flexibility and as many features. It’s now even easier to try, so we encourage you to check it out. Head over to our read more page for details. Control Magazine, "Mobility Rises Above"
If you would like to learn more about our trip to Barcelona with the FieldComm Group, or want to discover all that our products can do for your business, contact us today.